The Disney Infinity 3.0 9 Figure Value Bundle is on sale for $40.50 at Walmart.com right now. That's 60% off the regular price of $99.96! 9 of your favorite Disney Infinity Characters in one great bundle! 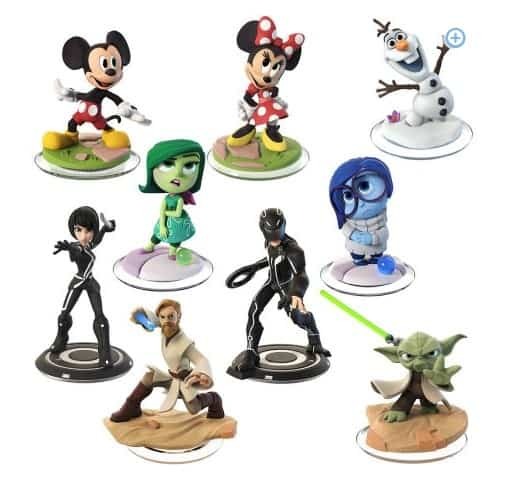 Included in the bundle are the characters: Mickey Mouse, Minnie Mouse, Olaf, Disgust, Sadness, Quorra, Sam Flynn, Obi-Wan Kenobi and Yoda. Shipping is free with Site to Store or a $50+ order.